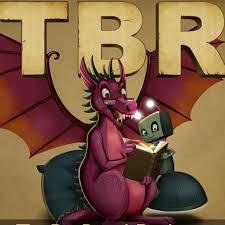 So last week, I got word that Patrick Stemp of the TBR Podcast had started reading my first book, Kick. I was pretty happy, but also a little nervous. What if he didn’t like fast-paced, edge-of-your seat action with spunky sidekicks quipping cheeky catchphrases? Waiting to hear what someone thinks of your book is a little like waiting to see if poison gas is about to kill Shrodinger’s Cat: maybe he’ll love it, maybe he’ll hate it. But hurray for me (and the cat) — he liked it! In fact, the other hosts (Michael La Ronn, Jamie Maltman) now want to read it. There’s a lot of competition on their personal “to be read” lists, with Michael wanting to read Wonderbook by Jeff VanderMeer, and Jamie wanting to read the Light Bringer series by Brent Weeks (awesome author). I’ve been listening to this podcast for a few months now. If you like the show, maybe leave a review for them on iTunes?